If you guys have followed me for any length of time, it’s probably become pretty evident from my Insta Story alone that I love food and eating. I grew up in a family with a huge appreciation for quality food (my parents grow their own veggies for their meals, so cool!) 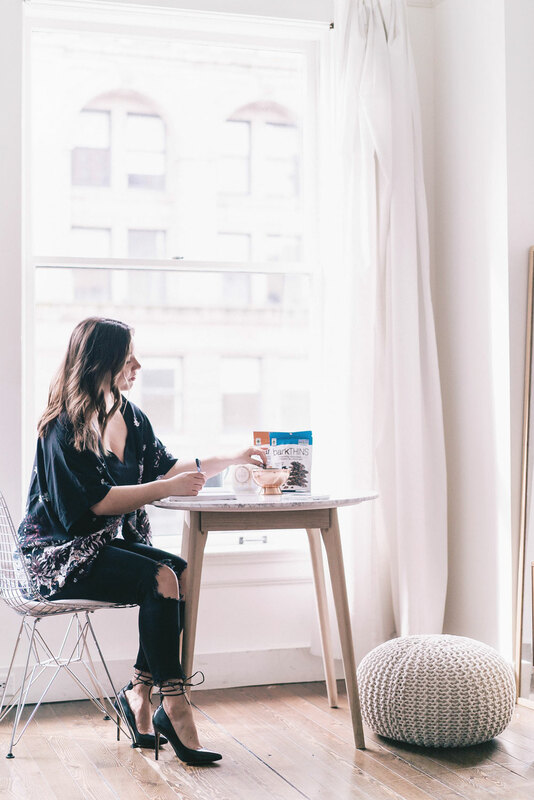 and that passion coupled with the very active life I live means I always make sure I have solid meals and snacks on hand throughout the day. My one daily requirement is dark chocolate in some form or another. 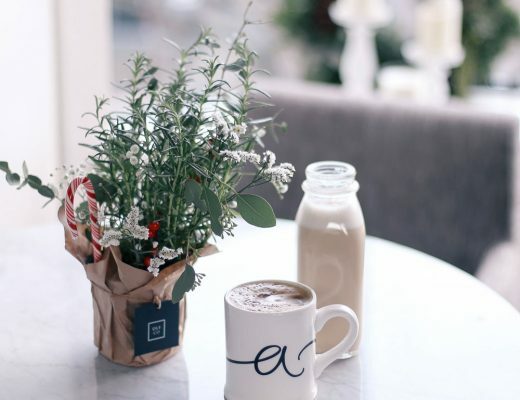 Speaking of my parents, I think my mum was onto something because years ago, she always closed down her day with herbal tea and dark chocolate, and it’s one of her rituals I’ve really taken on as my own. 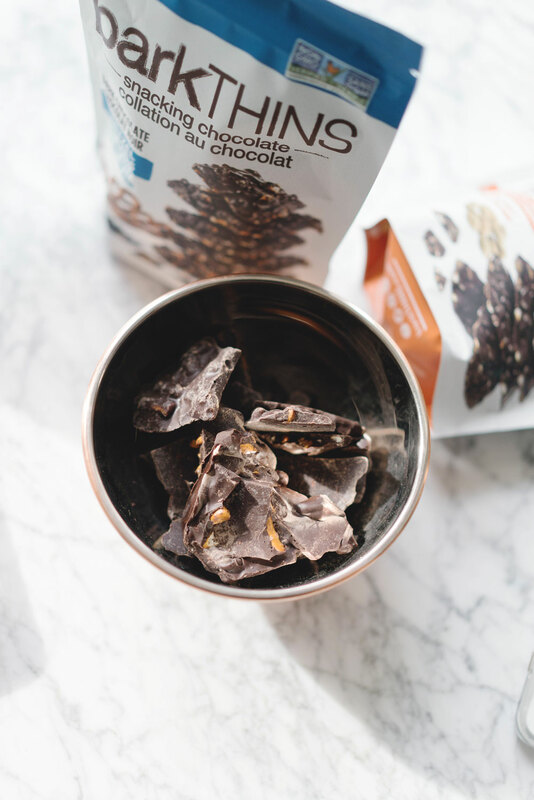 I’m someone who needs chocolate (you know the type) and was so happy to discover barkTHINS® recently because they not only give me my daily dose of quality Fair Trade dark chocolate, but they mix it with simple and most importantly real non-GMO ingredients, from coconut to pumpkin seeds to almonds. 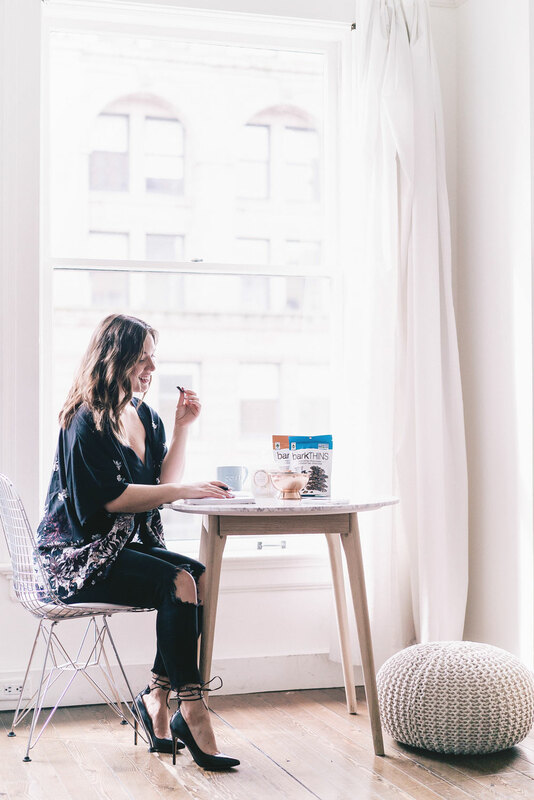 I tend to need a little snack at a few key points throughout the day and week: I need a little 3PM pick-me-up most days, in the evening when I’m winding down with a nice cup of herbal tea (it’s also my way of cuing my mind that bedtime is coming soon and dinner’s done!) 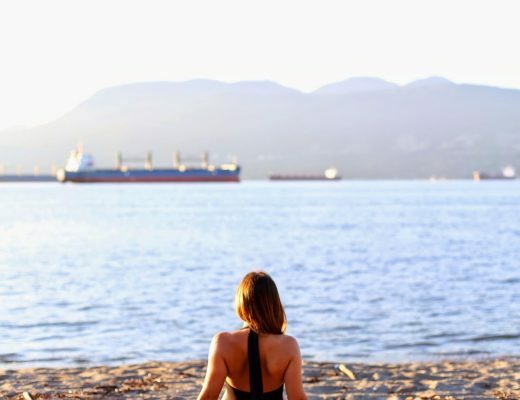 and I also really love making a point of getting together with my friends at least once a week with cocktails or vino and some tasty, simple treats. I’ve reduced my coffee intake to two a day, which is major for me! I obviously start my day with a cup and breakfast, but that mid-afternoon lull (which usually precedes my workouts since I typically work out in the later afternoon) gets a major boost and helps me power through my work by having my second almond mylk americano misto and a couple bites of my pumpkin seed and pretzel with sea salt barkTHINS. Perked up, I can seriously blast through the last bit of work to wrap up my day and hit up the gym with energy! 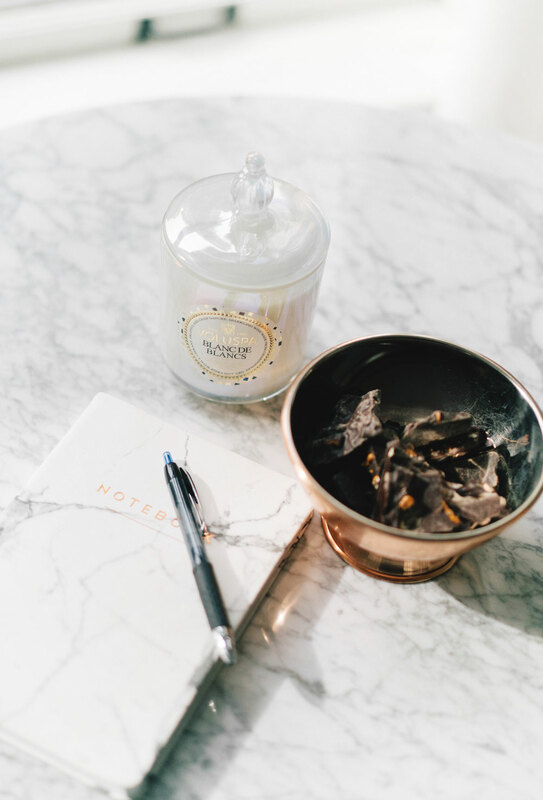 If you read my nighttime routine, you know I’m all about the rituals and habits to really build healthy habits. 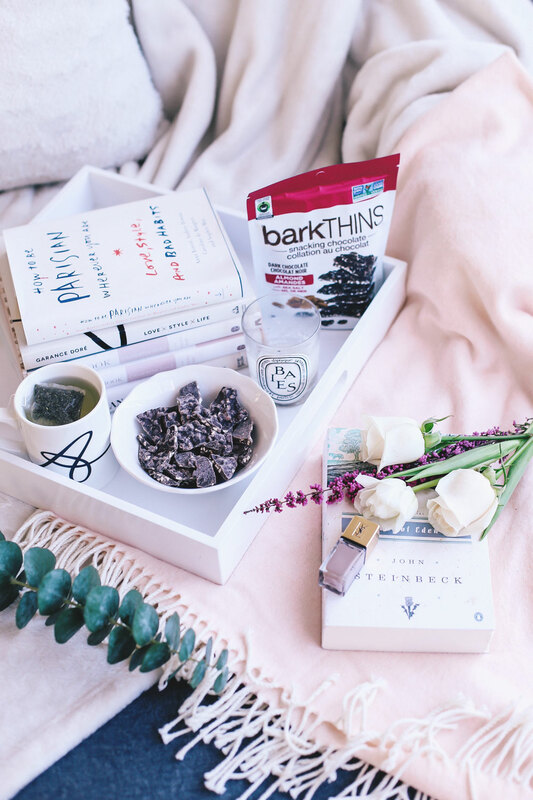 Taking a cue from my mum, who always enjoyed a bite of dark chocolate with her herbal tea before bed, I like to have a couple pieces of the almond with sea salt barkTHINS (and almonds are a great pre-bedtime snack since they’re lighter!) with my chamomile or mint tea. There’s something really palette cleansing about dark chocolate—it just signals to my brain immediately that the eating part of my day is done (aka no more snacking or second helpings) and it helps me sleep better because I’m not going to bed with a full belly from having snacked too late into the night! 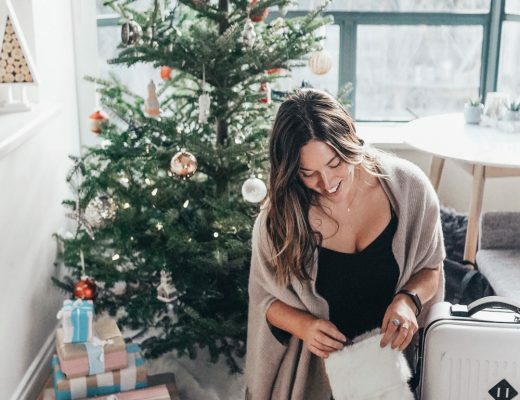 It’s also pretty obvious from my weekly snaps and Insta Story that my friends and I love to get together and TGIF the week away with a glass or two of vino and catch up. We’re all so busy and especially because I work for myself, sometimes the weeks can feel a bit lonely with my head down, getting through as much work as I can so that my weekends will at least kind of resemble my friends and partner’s (always a little work to do over the weekend but I’ve gotten better at getting my Mondays-Fridays schedule set up over time!). 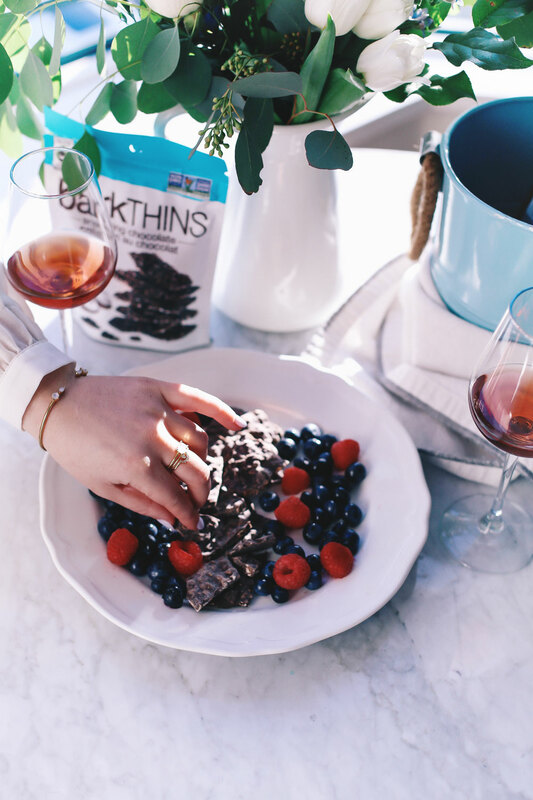 My friends are conveniently all pretty similarly driven by good food so while we’re collectively all about the balance, I know they’ll be all over this snack platter that combines antioxidant-rich berries and the decadence of dark chocolate! 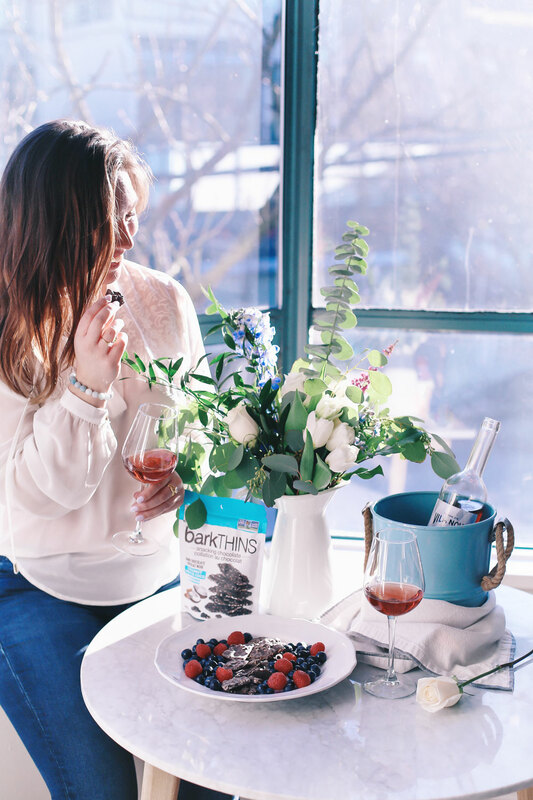 I love pairing chocolate with wine too to bring out flavours—this effervescent rosé really came alive with the snacks! All these four flavours (pretzel with sea salt, almonds with sea salt, coconut & almond and pumpkin seed with sea salt) are available in Canada for the first time as of this February (in no particular order, at Costco, Walmart, Sobeys, Loblaws, Metro in ON and QC, Shoppers Drug Mart, Overwaitea, Federated Coop, London Drugs, Jean Coutu and Rexall!) so do me a favour and pick up a bag (or two!). 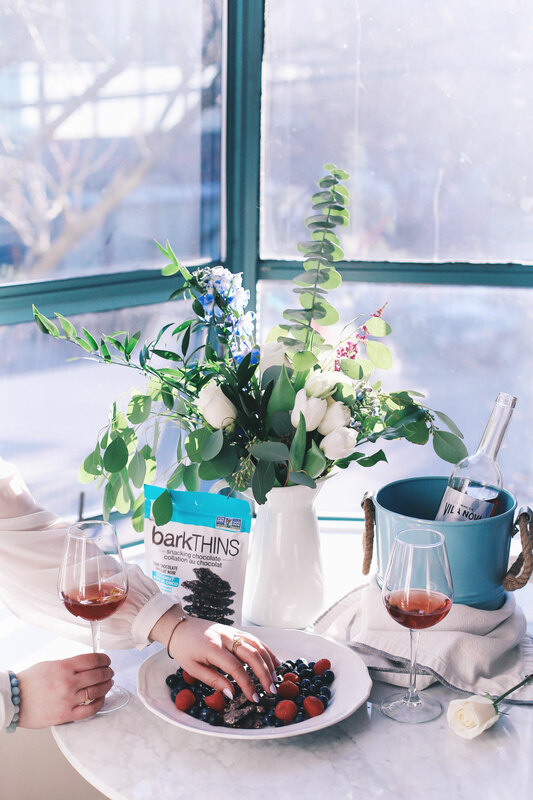 Make sure you check out how I incorporate my snacking into my day on social with the hashtags #betterwithbarkTHINS and #snackingelevated (and if you get on the barkTHINS train, make sure you share your own snacking tips/settings too with those hashtags!). I receive product from barkTHINS and wanted to share it with you. This post is sponsored by barkTHINS, however, all opinions are completely my own and are based on my experience. Thank you for sharing! I also want to find a nice snacks which is delicious and healthy. 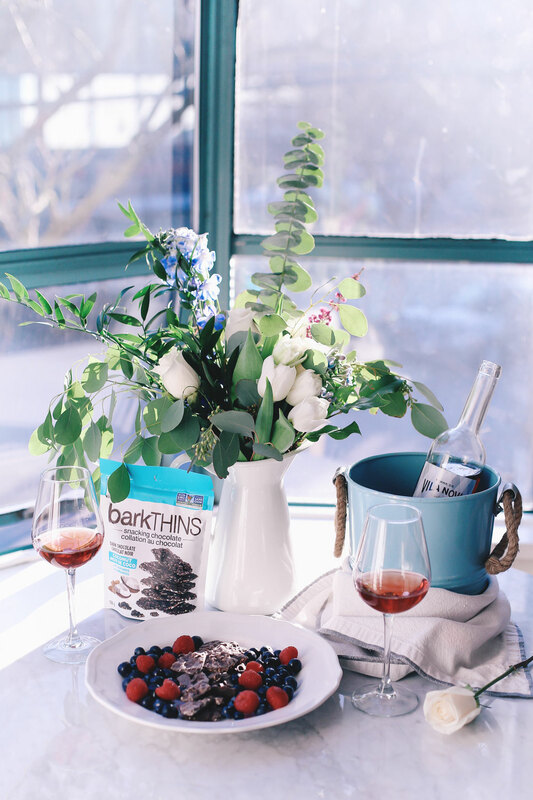 Need to try this barkTHINS.